Change Slide Size, and You Lose Fonts, Backgrounds, and Colors! A few days ago, I needed to demo some animation effects in a training class. I happened to open one of my older presentation decks, and this one was probably created using PowerPoint 2002 or 2003. When I selected the Slide Size option to change the slides to widescreen, I saw a poor transformation of my existing slides. I ended losing all colors, fonts, and backgrounds. Even the text alignment differed! Did you receive a PDF from someone that needs to be converted into a PowerPoint presentation? Or did you lose the original PowerPoint file, and only have a PDF version left? Maybe you received an InDesign or Quark file that needs to do double-duty as a PowerPoint deck? Or there may be any number of reasons to create an editable PowerPoint slide deck from a PDF. Explore our walkthrough of PDFelement 6 Pro converting a PDF to a PowerPoint presentation. David Edri is a leading ad-tech and social media entrepreneur and executive with over 20+ years of industry experience. David is currently the CEO of Emaze, an online content creation software with patented automatic design technology. David was a founding team member of RadiumOne, an online marketing platform, where he led RadiumOne Engage, their marketplace for advertisers to engage with gamers and drive high value branded experiences with Fortune 500 advertisers. David was founder and CEO of Formove.com, an online marketplace, and previously the founder and CEO of 123Out.com, a social network that connected communities with entertainment venues. Originally, this started with a discussion in an internal group exploring solutions that would allow one click on a remote to advance two presentations at the same time. Why would anyone want two presentations to move ahead at the same time? PowerPoint MVP Troy Chollar shares some options. "We can use the simplicity and immediacy of pictures to discover and clarify our own ideas, and use those same pictures to clarify our ideas for other people, helping them discover something new for themselves along the way." The Notes Page is one of ten views available in PowerPoint 2016. This view shows you how your printed notes will appear. In this tutorial, we’ll explore this particular view for Notes Pages and learn about the benefits of this view. First of all, the Notes page shows the speaker notes that you add to the Notes pane for each slide. Moreover, then these speaker notes are visible in three distinct places within PowerPoint, depending on the view you choose. Presenter View in PowerPoint 2016 for Mac is a purpose-built view that accompanies Slide Show view. This view is beneficial in an environment that has at least two displays such as a laptop and a projector. The projector then shows the actual slides, commonly called Slide Show view. However, you see the Presenter view on the laptop. Notice that you get to see much more than just the slide. Rest assured that the audience viewing the projector output see only the slide! 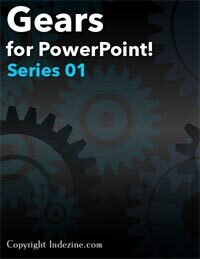 Have you created all your slides in PowerPoint Online, and now you want to show it in front of an audience? Or you just want to use this slide deck in a webinar, or even see them yourself to understand how they look in full-screen view? In that case, the view that plays your presentation in full-screen mode is Slide Show view.